Hotel marketing encompasses a huge array of topics, skills, and strategies that hoteliers like you need to be aware of – and also master – if you want to succeed in optimising the success of your hotel business and attracting as many travellers as possible. Effective hotel marketing means potential guests and customers alike will be impacted by your brand wherever and however they choose to research, plan, and book their trip. The modern path to purchase for travellers is now so broad, you have to put a lot more focus on exactly who you’re trying to catch in your net. 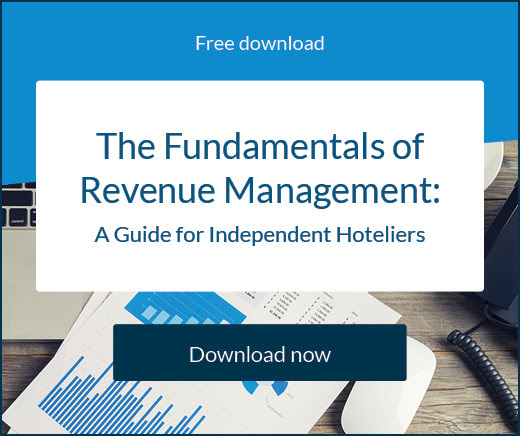 This article will help you understand the full breadth of hotel marketing categories, giving you clear lessons and examples on how you take a major step forward this year and outshine your competitors, engaging prospective guests before your rivals get the chance. There’s much to consider when developing a marketing plan for your hotel. The scope and opportunities are massive in our current climate. What offline channels are still available and useful to you? What online channels should you prioritise? How do you optimise the tools you use? How do you track and measure results to make adjustments? Who do you work with to help achieve your potential? If you don’t know what voice to speak with, or who you want to hear it, business is unlikely to boom. These two focus points will then inform how you plan the rest of your hotel marketing strategies, and both are linked to each other. The brand message you run with will ultimately impact the kind of guests you attract. For example, if you want your hotel to be trendy and steeped in innovation, you should think of marketing your property to young travellers and couples. Other factors will also come into play, including the location of your hotel, its size, your budget, and the budget of travellers and their purpose for travel. It’s important that you know your target market, so you can craft your marketing strategy and be tailored in your messages to potential customers. Want to get the best out of their trip. Often travelling with young children, they have a medium income and largely fall between the ages of 25-34. They rely heavily on reviews to help them find what they need, preferably a trip near the beach, and usually research on a smartphone. Are focused on enjoyment and willing to spend more to obtain it. They often travel in a couple aged 25-49. They seek cities that are hot and coastal and tend to look closely at online reviews. Focus on sharing and engaging with others, usually travelling in friend or family groups. Their groups often include children so they appreciate babysitting and child services. While they have high to medium income they put a lot of faith in word of mouth and recommendations from other travellers. They tend to fall in the 25-49 age group. Like to have a lot of control over their trip and thus love to travel solo looking for adventure and cultural experience over any particular climate. They’re usually low or high earners who are relatively young and quite likely to share reviews and engage with social media. Maintain a very particular approach to booking their trips. They want to make sure their experience is as good as it possibly could be. They not only thoroughly research their destination and accommodation but also restaurants and activities. Given this, a lot of it is done on laptop devices. They’re commonly higher earners travelling as a couple aged 25-49. Each stage of the journey is usually backed up listening to the voice of other consumers through sites like TripAdvisor. Look for simplicity and convenience by travelling to the same destinations repeatedly. They place more stock in relaxation than activities and are commonly in the 35-64 age bracket. Mostly male, they tend to be lower income travellers. The type of hotel you run – budget, boutique, luxury, independent, or a chain – will make a huge difference to how you market your hotel and who you market to, so the initial research and analysis you do is extremely important. Once you have confirmed your brand and target market, that’s when you can divert your attention to all the nuts and bolts of marketing your hotel and making it a visible, viable booking option for travellers. Let’s find out what all that means. Digital marketing is something no one can deny in 2019, so much does digital media permeate the everyday lives of travellers. People now manage their interactions almost exclusively via smartphones, social media channels, and email. It’s natural for this behaviour to flow over when they decide to go on a holiday or are required to take a business trip. Most people enjoy developing habits and the comfort of researching and booking travel on their mobile is appealing. Even those who have been slower on the uptake, baby boomers for instance, are more or less being forced in the same direction. Reports say that the online bookings make up almost 60% of all bookings. Half of those who do book digitally do so from a mobile advice. It’s an overwhelming number which indicates the risk you run if you aren’t employing a digital marketing strategy to attract and convert guests. One of the reasons people embrace technology and any online resource is because it clarifies and accelerates their task or experience. These virtues should be front of mind for your hotel when creating a website or an advertisement on the internet. The great thing about being online is that there are so many different ways you can engage with travellers. Statistics will tell you a strong social media presence is essential, as is a strategy around video marketing. Because of the different platforms within digital media, the potential for hotel marketers to be creative is much greater and enables them to connect with a lot more customers. It might be the only way to reach customers on the other size of the world or specific markets like Chinese travellers. Some travellers engage with beautiful images, some prefer videos, others are content to take a deep dive into written information. Digital media allows your hotel to create this, on brand, all at the same time too. Think about what your unique selling points are and the best way to communicate these to your audience. Most importantly, everything you communicate must be personalised wherever possible. What this means is that what you say and what you offer to customers must be tailored to their specific demographic. If they’re a young female businesswoman, you must know what a young female businesswoman wants and communicate accordingly. Personalisation is something guests thrive on and in today’s market; not providing it spells danger to your reviews and repeat business. Hotel marketing is now predominantly done online, given consumers no longer have to rely on offline advertisements like billboards, posters or television and radio advertisements. In the past the equation was much simpler, but in recent years there’s been an explosion of complexities. Firstly, just the concept of online hotel advertising, and now the myriad of ways to explore this option and execute strategies. That’s why there may not be a ‘right’ way to advertise on these various channels, but we can certainly offer some advice on where your hotel needs to be to attract guests and some tactics to help optimise the experience. With social media becoming so important in the everyday lives of consumers there is no doubt that it presents a significant opportunity for hotels to capture the attention of potential guests. Scrolling through social media feeds has become part of the everyday for most people now, no matter where they are or what they’re doing. Not all content will engage them but travel-related content likely will because it activates your guest’s imagination. Used creatively, travel content on social media can have a transportive effect on viewers, inspiring them to go on their own journey. Social media also offers your hotel business a range of options when distributing your content, meaning strategy and targeting uses become extremely valuable. Let’s take a look at some key social media trends and see what your hotel can learn from them. Before you can influence travellers on Facebook, you need to grow your following. You could accelerate this process through paid advertising, but you should grow your audience ‘organically’ as much as possible. People you already know will be more than willing to support you and you can quickly bolster your likes this way. You can even use the ‘Build your Audience’ feature to import all your email contacts and invite them to your page. This is a simple way to give your Facebook page more exposure, especially to potential guests. Always ensure your links are correct and functional. This is as simple as putting small displays on tables, on the front desk, or in rooms inviting guests to like you on Facebook. You could even add links on the bottom of receipts. Even something as small as a free coffee will encourage guests to visit your page. This will give them a chance to look at your posts and like your page. When it comes to competitions, make sure one condition of entry is that people like your page. Follow the 80/20 rule: 80% of posts should be about the local area and only 20% of should be about the hotel itself. Use Facebook Insights to see the type of content your fans enjoy, and post between three and 10 times per week. 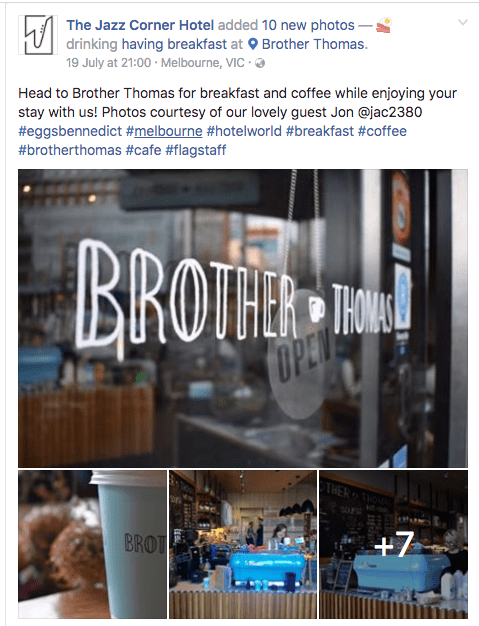 If you have Instagram, Twitter, Pinterest or other social media accounts for your hotel, post a frequent call-to-action for those users to jump across and like your Facebook page as well. Add as much information as possible to your profile page and add as many relevant categories to your page. This information helps Facebook serve up your page to people in various ways across the site. It’s also good for search engine optimisation so use plenty of relevant keywords. When people sign-up for your local tourism guide or fill out your contact form, redirect them to another page thanking them for getting in touch. Add some text and a Facebook button to the page asking them to join you on Facebook, while you have their attention. If another local business or organisation mentions your hotel in a post on their Facebook page and tags your page, thank them, like the comment, and join in with the conversation. Facebook is a community and so a sharing mentality here will serve you and your hotel well. After this you can begin experimenting with paid Facebook advertising. Start with a small budget and set up a page likes campaign that targets those who have been on your website the past 30 days, who also meet other criteria, such as age or gender. Once you have established a credible Facebook page and following, you can start using advertising tactics to get more bookings through the platform. There’s plenty of advice to offer in this respect. To start with, Facebook has a number of tools designed specifically to help you advertise your business and nail the Facebook conversion funnel. People spend 5x more time on Facebook than on travel-related apps, sites and searches. More than 50% percent of respondents to a survey found trip ideas while browsing on Facebook, so the guests are there to be won. Dynamic Ads for Travel (DAT) allows advertisers to engage with users lower in the funnel who have already visited your website but are yet to convert. Travellers are tracked through their browser so they can be shown an offer for your brand when they’re browsing different sites. 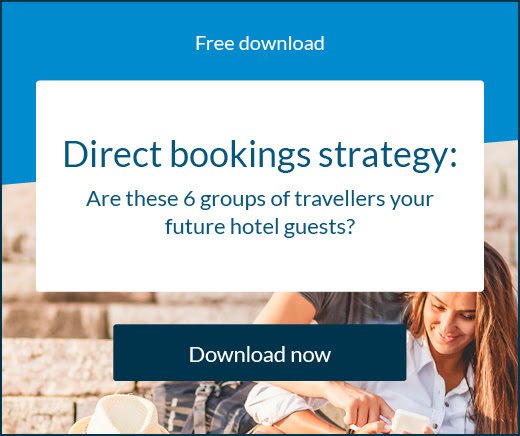 This kind of retargeting can often prove quite useful in securing bookings from travellers who are still undecided. Dynamic Ads for Travel for Broad Audiences takes this a step further. This is a feature created specifically for hotel advertisers that allows you to reach people with travel intent – even if they’re yet to visit your website or app. You’ll need a Facebook pixel implemented on your website, and use dynamic ads for travel events to report which properties from your catalog are being searched, viewed, and purchased. Trip Consideration can be used to prioritise the delivery of your content to people who plan to travel. These audiences may have a general intent to travel, but have no specific destination in mind yet. As opposed to DAT for Broad Audiences, these ads aren’t dynamic and instead use a static creative that you select, rather than drawing from a catalog. But how does one increase direct hotel bookings via Facebook? Since a friend’s recommendation is more powerful (and less expensive) than any ad, focus on word-of-mouth strategies first. Even giving a single traveller the best possible experience could result in thousands of dollars more revenue if they’re impressed enough to share your hotel around their social circles. This could be triggered from as little as one message or comment from your business to the customer that leaves them impressed with your service. Finally, always remember to interact with and reward loyal followers. All feedback, be it negative or positive, needs to be responded to. Reply to comments and messages in a polite tone. Any new visitors will be looking at the way you deal with customer feedback and studying your reviews. A helpful way to handle this is to migrate your communications to Facebook messenger and encourage followers to also pursue this avenue of communication. That way, any negativity or hostility can be resolved in private. Instagram is one of the most effective social media marketing platforms available to hotel owners in today’s social and digital environment. In fact, Instagram now has more than one billion users. It offers a simple, clean feed, it’s completely mobile, and it makes everything look great. And the good news for hoteliers is that it’s particularly popular with travellers and holidaymakers. Marriott Hotels’ Instagram account has 287,000 followers while Hilton Hotels & Resorts has 226,000 followers, and IHG’s InterContinental brand has 146,000 followers. 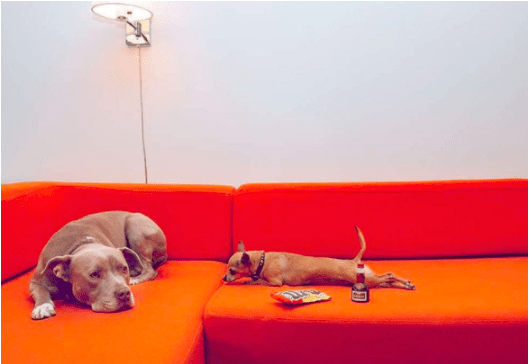 Recently there’s been a rollout of advertising for brands on Instagram. Many pages already have the action buttons to ‘Call’, ‘Email’ and ‘Get Directions’. Now select businesses will be able to include ‘Book’, ‘Get Tickets’, ‘Reserve’, or ‘Start Order’. As for direct messaging, businesses can now see important new customer messages in their main inbox, instead of in the pending folder. They can also mark messages with a star and filter conversations to make it easier to follow up with enquiries. 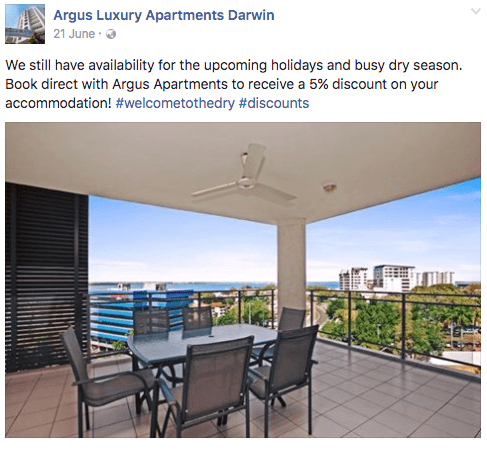 If hotels provide the high quality, aspirational content that Instagram users are looking for, the Instagram algorithm could actually be highly advantageous. Don’t assume that Instagram users are outside your target demographic. Although skewed towards the young, it is growing in popularity among older age groups. In simple terms, here are some ideas to help your hotel create Instagram-worthy posts. 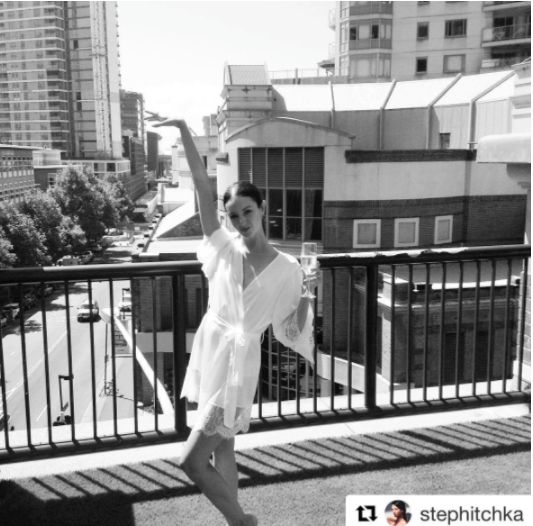 Instagram allows you to create a lifestyle around your hotel. Make each post complement your overall brand story. Share content that will boost your property’s urban image or confirm your hotel as a peaceful retreat. Highlight your facilities, but keep content attractive and entertaining to show the dynamic life at the hotel and capture its atmosphere. Go behind the scenes to give followers a glimpse of the hard working staff that help make a guest’s stay as stress-free and fun as possible. Share images of new menu items being prepped in the kitchen, staff interacting with guests, and guests enjoying themselves (ask permission first). Staging selfie spots is quite popular and gives guests an easy option to photograph and share their own images. Promote your destination by sharing content of your local neighbourhood, scenery and attractions, to give followers a sense of place beyond the hotel. Engage with the posts of other travel operators in the area. When uploading imagery, be sure to use the photo map feature and specify your location so that photos are searchable. Hashtags will make your content searchable. They are important on Instagram because you can’t add links to posts. Instagram users often hashtag brands in the hope of getting a response. Search for people hashtagging your hotel, like and comment to create a conversation. Create hashtags for your hotel and campaigns and include them in posts. Start with three or four per post and ramp up. Here’s some perfect examples of how to get it right on Instagram. For hotel marketers, it should be looked at as a first priority when creating strategies to attract bookings. A quick look at YouTube and the one billion people watching more than six billion hours of video each month will tell you how popular videos are. Travellers love to find inspiration through video, with around 65% of them watching video when thinking about taking a trip and choosing a destination, with a further 54% using video when choosing accommodation. However, you need to do more than create a pretty collage of images with a backing track if you truly want your content to be amplified. Use the storytelling strengths of video to send a real message. Emotions play a massive part so this is where your efforts should be focused. Try to instil awe in viewers with your videos to reach new guests, drive site traffic, and share your hotel’s story. Here’s an example of video marketing done right. This commercial is all about the punchline. Using stunning imagery and increasingly touching music, Shangri-La place the environment as backdrop to deliver a message on kindness and companionship, showing guests no matter where they come from, they will be accepted and safely harboured within the hotel. Over the last five years there have been countless white papers, blogs, webinars, and seminars dedicated to predicting the uptake of guests choosing to book hotels via smaller screens. Google recently announced user queries completed on mobiles have surpassed desktop as the majority Google search type. This has prompted it to introduce a mobile-first indexing initiative, meaning Google will now begin to use the mobile page versions of a domain for indexing and caching in search results, and subsequently, for ranking. What this adds up to is speed and ease of use, something Google values very highly. In Australia, 38% of travel site visits come from mobile, and even though for 60% of consumers travel is the biggest discretionary purchase of the year, one in three don’t have a specific destination in mind when they first consider taking a trip. Hotels are advised to be present when inspiration strikes. By doing a search of common queries you can see if your property features in any of the results and optimise your search engine rankings from there. In millennial groups, up to 50% say they’ve discovered a new travel brand while researching on mobile. When a plan first begins to form travellers most often search for prices, hotel reviews and pictures, flight lengths, and available destination activities, with 69% of travellers worrying they’re not finding the best price and second-guessing their choices. However, 85% say that information sourced on their smartphone helps them make decisions. Be liberal with the information you display to mobile searchers. While you want to keep things simple, you also want to give them all the information they need to choose your hotel over a competitor. This is where travellers are still somewhat reluctant to rely on mobile devices. Only 23% are confident they can find the same information on their smartphones as they can on desktop or laptop. You can ease the worries of guests but giving them the ability to cancel mobile bookings without incurring a penalty. You should also eliminate as many steps as possible on mobile and make it easy for people to contact you. For example, you could implement a click-to-call link or button. Travellers still turn to mobile even after they’ve begun their trip. Around 85% decide on their activities after they arrive and nearly nine out of 10 expect their travel provider or hotel to give them relevant information. They’re looking for weather-specific information, public transport help, exchange rates, and traffic updates along with other relevant news. Given 67% of travellers feel more loyal towards a brand that shares useful information with them during their trip, it’s a good idea to offer travellers tips on what to do or where to eat while visiting their chosen destination. BONUS TIP: It might sound simple but it’s surprising how many businesses fail to implement a mobile-friendly booking engine into their mobile-friendly website. Today’s booking engines are incredibly powerful and can integrate directly with both your website and channel management solution, via two-way integration, ensuring any direct bookings received are reflected automatically. This means inventory and rates are up-to-date at all times. By putting a smart engine in place, you will be able to decrease time spent manually updating inventory and increase time spent on the more important things. If there’s one thing that can complicate and disrupt the booking journey for hotels, it’s the ever-changing search engine landscape. Considering the first page of search engine results receive more than 90% of all traffic, for your hotel to be found on Google you need to prioritise key components of ‘search engine optimisation’. The first page of Google is such a competitive battleground and your hotel needs to get everything right to be in the eyes of prospective guests. With Google constantly updating its algorithms and strategy, traffic coming in from multiple devices, and inconsistent SEO practices from travel websites, it’s hard for hotels to get a clear picture of what is working and what needs to be done to increase traffic and conversions in the future. This requires you to approach the task from the guest’s perspective. Think about what travellers would be searching for on Google when planning their travel and looking for hotels to book in your area. Once you’ve thought about this you can develop a list of keywords you want to sprinkle throughout your website and analyse the traffic they drive before you implement them. A list of 10 is always a good start. It makes it easier for you to research and evaluate their effectiveness, and quicker for you to integrate them into your site. Google My Business is a free listing that optimises all your hotel’s information into the right fields and makes it easier for travellers to get the details they want. This includes your hotel’s address and phone number, Google maps geo-marker, hotel photos, guest reviews, and other relevant information such as amenities. Providing you complete your listing properly, with the features listed above, Google My Business makes your hotel website instantly more accessible to travellers searching on Google. While Google Hotel Ads is a paid service it’s an effective way to get noticed on Google and Google Maps, and it allows guests to immediately begin the booking process. The other benefit is that you’ll only pay once your ad generates a click or a booking, and will only appear when travellers are searching for something that meets the specifics of your property. It allows travellers to filter their results to suit their needs, meaning the ratio of bookings you get per click is likely to be higher and worth your investment. SEO is not a set-and-forget strategy. Hoteliers must be constantly on their toes to ensure they maintain their ranking, By keeping track of search and demand trends for your city, you can make more intelligent decisions about the content on your website. Remember that seasonality plays a big role in what travellers search for so changing your keywords to reflect updates to your packages/promotions or blog posts is very important. It will also mean you’re setting your rates accurately. High quality content is always going to please Google’s algorithms and it will increase your chances of converting site visitors into bookings too. Maintaining a blog is the best way to do this and ensure your content is always fresh. Consider publishing a post at least once a week, sharing it on your social media pages, and sending emails to your database too. Content also means visual content. High quality images will help attract attention to your website on listings and impress your site visitors, and you can attach keywords to your images. You should consider investing in a certified photographer to implement a 360 degree tour of your property. This will appear on your Google listing as ‘See Inside’. The more content you have the more backlinks and external links you can use to strengthen your appeal to Google’s algorithm and also increase the amount of traffic flowing through to your website. No one is going to book a hotel on face value. You can promote your property all you want but in the grand scheme of things, travellers will always trust their peers over you, at least before the first time they stay. This is why you need verified reviews visible on search engines and metasearch sites, preferably five-star responses. To give your hotel credibility you need to respond to as many reviews as possible, especially any negative comments. Guests want to see that you care about their experience and are working to improve your service and get to know them better. There is no quick fix to your SEO and Google rankings, and there are many other tactics you can use than are listed here. It requires regular vigilance and updating on your behalf to maintain your Google rankings. It’s important that you utilise Google Analytics to collect and learn from data. Analysis is important for any strategy you put in place at your hotel. 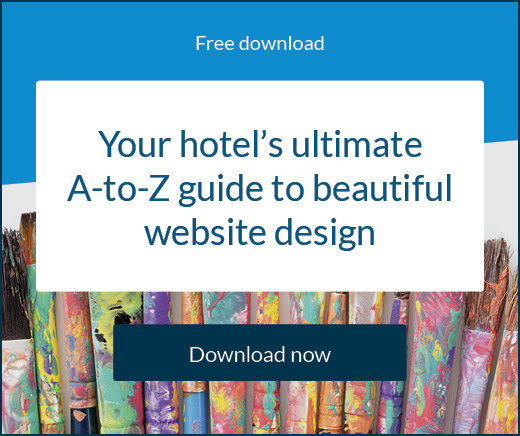 By gaining more information on who might be searching for a hotel like yours and what content is of interest to them, you can really start optimising every aspect of your website. Increasing competition in today’s online business climate has necessitated more diversified marketing and distribution strategies for hotel operators. But while it’s important for hotel marketers and revenue managers to consider both traditional and emerging opportunities, the costs associated with marketing your hotel through multiple channels can add up. Enter email marketing – one of the most viable, cost-effective methods for reaching guests and increasing direct bookings. Email marketing is crucial for the hotel industry: it’s estimated to return $38 for every $1 spent, making it the channel with the best return on investment (ROI). Just as travellers can now plan their trip using the endless information offered online, including through Google, hotels can also look to take simple steps to plan for their guests’ arrivals. The first step in email marketing is to optimise your send lists. You want to make sure you have a sizeable pool of prospects, but you also want to them to be quality leads. Looking at your current lists and analysing previous results will give you a good indication how you want to grow your list moving forward. Help this process by including an easy form on your website and asking guests in person during their stay. Not only is it easier to target repeat business than to generate new leads, it’s less expensive too; statistics show that attracting new guests can cost you five to eight times as much as retaining existing ones. 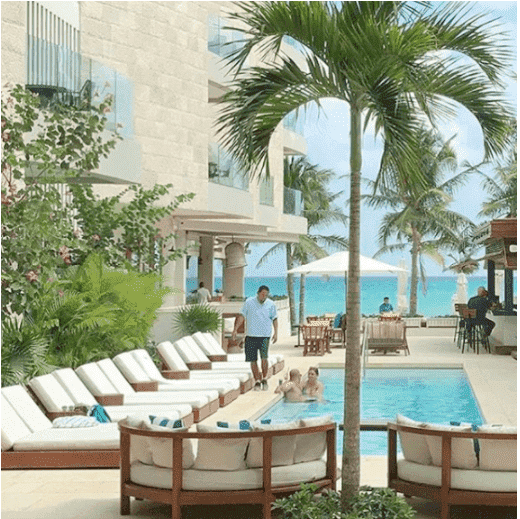 Why not offer return guests special package deals and time-sensitive reward program benefits to increase your revenue? Guests are more likely to look for rooms in the run-up to peak periods, so use this time to remind them why they should book with you with holiday-themed emails, special discounts and personalised incentives. Lean on your property management system (PMS) data to identify spikes in room occupancy in order to send targeted, seasonal emails – particularly to previous high-spenders. It is during those peak periods that you are also more likely to attract new guests. Be sure to identify your niche and ideal customer; this makes targeting much more streamlined and effective. Nowadays, every customer who books a hotel room online understands they must be willing to provide their email address (in order to receive their confirmation email and other important information from the hotel). Always collect this data at the time of booking or check-in and use it to follow up with your customers in a timely fashion. For example, by sending out emails with exclusive deals and time-sensitive offers, you can upsell and create cross-market opportunities for increased revenues. Personalisation is essential. Understanding your subscribers in more detail and segmenting them accordingly allows you to deliver more relevant branding campaigns. Personalise and send emails that relate directly to your guests’ needs and preferences. In particular, be mindful of which time zone they’re in and send emails when they’re most likely to be receptive. While Experian research shows that emails sent on Fridays have the highest click-through rate (CTR) and those sent on Mondays generate the most revenue, it’s important to experiment with different days and times to find what’s most effective for you. By harnessing the power of marketing automation software, you can analyse your CTR and other metrics in order to help fine-tune the timing of your email campaigns. To make your emails more engaging, use short and direct subject lines with clear benefits, so customers are encouraged to open your email and find out what’s inside. Using a marketing automation tool you can easily test different subject lines with, and measure your open and click-through rates to compare how different marketing campaigns perform. People remember about 80% of what they see, and only 20% of what they hear so don’t be afraid to really draw their attention to stunning pictures of your hotel and destination. It will increase engagement and get them to focus on your content. A friendly CTA combined with a personalised message helps to encourage click-throughs and responses. Email marketing should be an important part of your hotel’s overall, and ongoing, marketing strategy. Remember: with every email you are building a relationship with your customer. By taking the time to send personalised and relevant communications, guests will feel valued and want to book with you. Brand messaging and key target markets are your very first priority – People will only listen to what’s relevant to them so make sure you’re speaking to the right people. Digital marketing is the dominant method – There’s no denying that now you simply must be online to effectively advertise your hotel. Social media offers your hotel a vast array of options – Make sure you’re at least using Facebook and Instagram to drive guests to engage and book with your hotel. Video content is becoming king – Quality content delivered via video can be incredibly powerful and is more commonly shared between friends and family. Go mobile – Mobile bookings are on the rise, and searching on smartphones is already a preference for travellers. Don’t forget about email – Email may be a traditional method of marketing but it’s still one of the most useful!